Review: Marcus Brewer becomes friends with this young immature young man called Will Freeman and teaches him how to grow up. 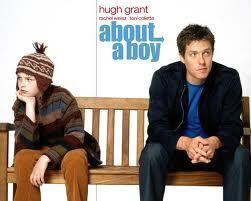 One of Hugh Grant’s best films. Thought it was excellent! Based on a book by Nick Hornby. Brad Pitt was offered the role of Will but turned it down.